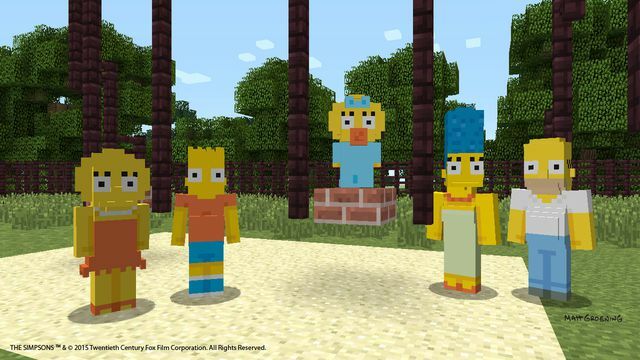 A new Simpsons Skin Pack came to Minecraft Xbox One last week, and being the biggest Simpsons fan that I personally know, I had to buy it right away. See, it cost $2.99, and at that price, I expected it to come with a texture pack or a prebuilt map, similar to the Halo set. Did that happen? Not even a little. No map. No textures. Just skins. And they don't even have Flanders! Now, if you were a shrewd consumer, you might have the foresight to actually look through the skins before you buy them, research before you buy, but I didn't. And because of it, I wasted some money. I do plan on using my newly acquired Homer skin to giggle every time I'm playing Minecraft, but was it worth $2.99 just so I could do that? Short and sweet, I don't think it's worth your money. Not even if you have an entire bookshelf devoted to Simpsons Memorabilia.